Expand your gameplay with multiple scenarios for both the boardgames and Ogre Miniatures here. Need a guide to assembling the 3-D counters? Wondering how to store them in the Ogre garage? Check out the counters page. Need some more swag? We've got it right here . . . while it lasts! 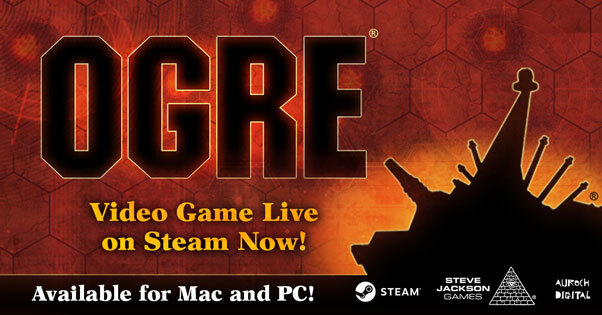 The Ogre FAQ and Errata. German translations of the rules, scenario book, and reference sheet. Ogre Ludography – a list of all Ogre games, supplements and promotional items published since the 1977 release of the original game. Ogre Miniatures Lite is now available for download. This is a new version, so use it in your games as a quick reference sheet, hand it out to newbies during demos, or just plain old look it over, then email ogre@sjgames.com with your comments! 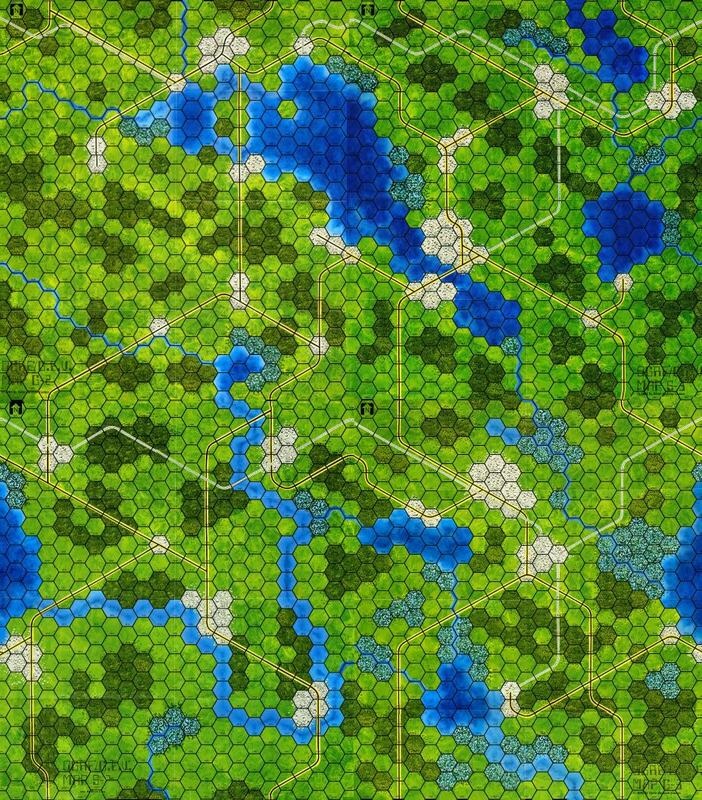 Forum thread with links for OgreMap, an easy way to create your own custom maps for Ogre. Older Ogre record sheets and descriptions, with HTML conversion by Mike Montgomery. Several fan-written programs are available for Ogre players and referees. If you would like to write a game aid program, you can get official permission to create and distribute it. Ogre Miniatures without Ogre Miniatures – a guide to Ogre-compatible miniature figures produced by other manufacturers, by Thad Blanchette. Winchell Chung's Ogre art page. Battlefields Wallpaper – This collage of Ogre maps was created by Dave Morse. The original maps were designed by Steve Jackson and executed by Denis Loubet and Alex Fernandez. Ogre/G.E.V. banners you can use to link to this site. Ogre News list – Join this low-volume list for announcements about Ogre and related products and events. Only SJ Games staff can post to this list. Yahoo Groups has an Ogre Miniatures groups available. The Ogre Webring has a collection of the best Ogre links on the web. Dan Efran has designed a variety of simple Lego models of Ogre and GEV units. And here are some very, very small Lego Ogre units, made from just a few pieces each. The Pan Pacific Alliance has an Ogre recognition manual and combat pictures.